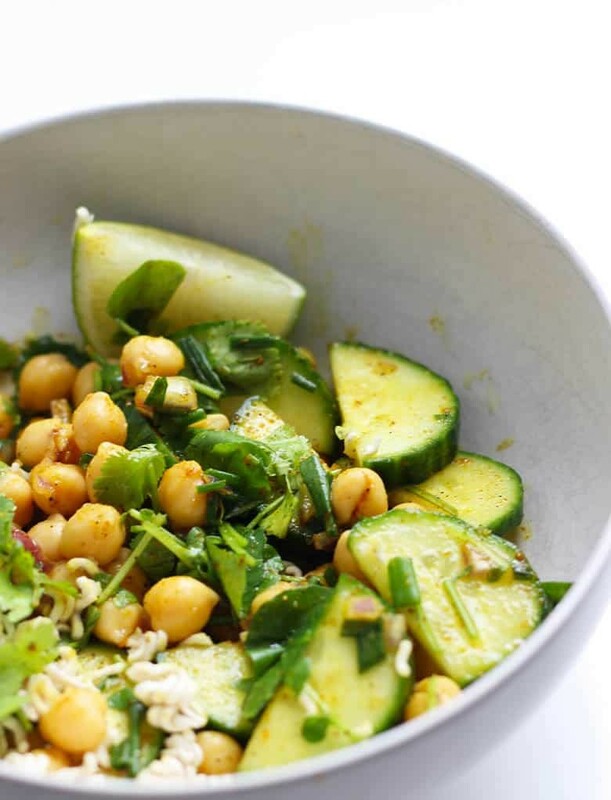 Chana Chaat, a Chickpea & Cucumber Salad where contrast is key. 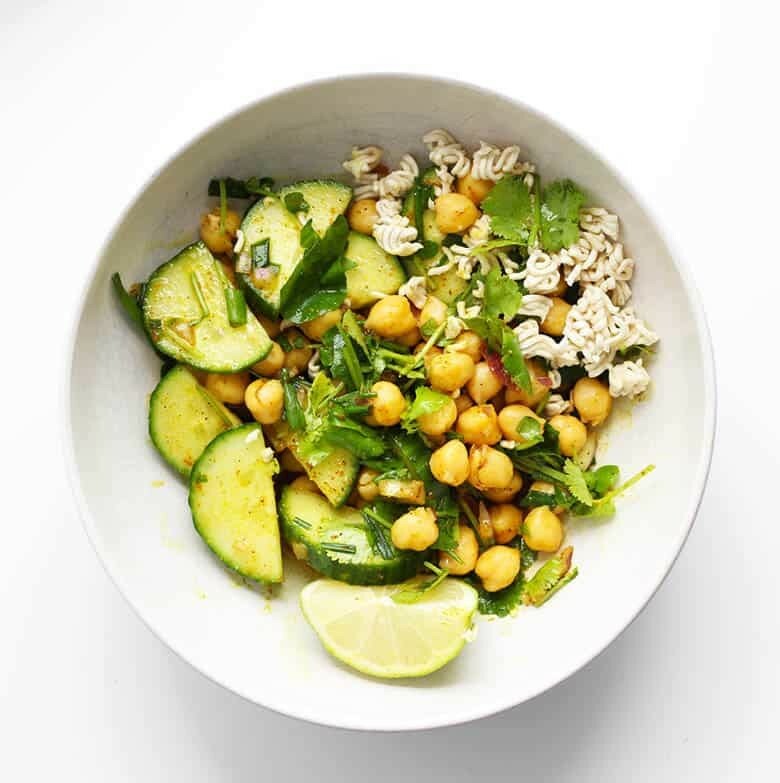 This Chana Chaat inspired recipe is turned into a robust and fresh salad with English cucumbers, chickpeas and fresh herbs kissed with a curry, brown sugar and lime juice vinaigrette. 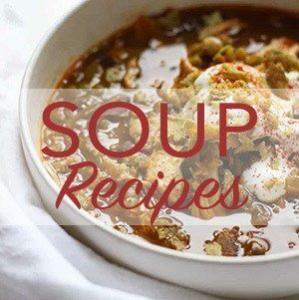 Make this for dinner tonight! 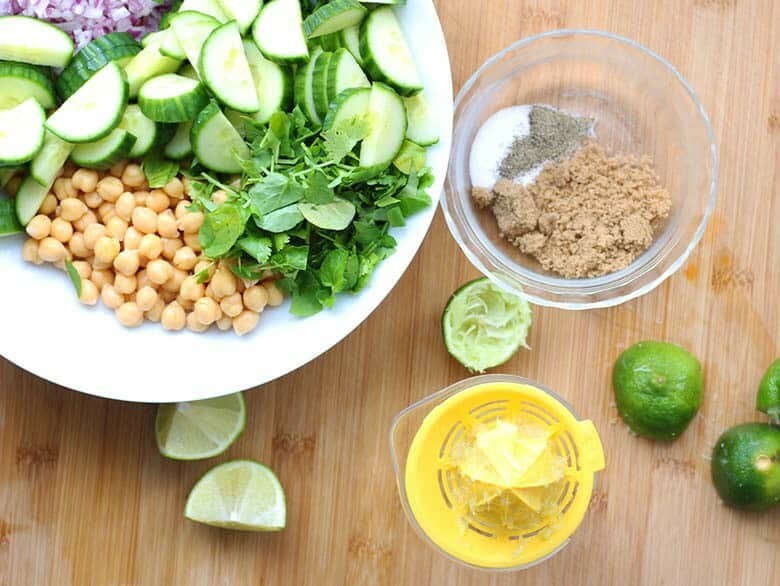 Chana Chaat is a chickpea salad that is popular among street cart vendors all over India. It is either a quick snack, spicy side dish or vegetarian meal. I think the original version is much hotter than this one. A lot of chaat recipes include sliced fresh hot peppers. The heat from this one comes from curry powder. The one I am making today is inspired by my recent issue of Milk Street magazine. I liked how they turned a mysterious dish into something with mostly easy to find ingredients in a conventional supermarket. There is always a tinge of guilt whenever I share a recipe that has you trekking all over the city looking for that ‘one’ ingredient. Although with the internet you can easily get most of these ingredients delivered to your door. I took the original recipe and increased the cucumber ratio because I’m really looking to include more veggies in my diet, and substituted the tamarind chutney, a specialized ingredient, and increased the brown sugar and lime juice ratio. I’ve got your back. If you decide to make your own tamarind chutney, you can learn how to make tamarind paste here. There are Chana Chaat suggestions below if you want to add more authentic ingredients. 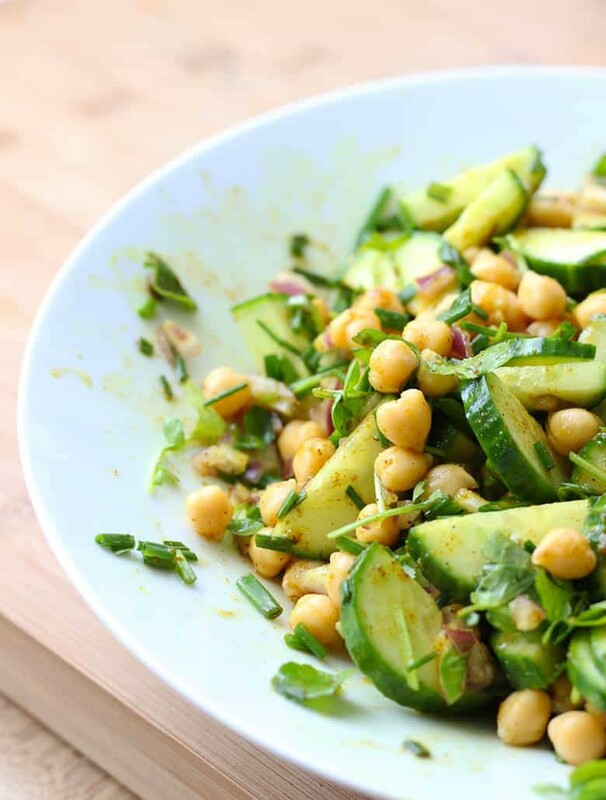 For now, it’s the spicy, robust chickpea cucumber salad that would be great on it’s own or with Texas BBQ. For a creamy version, add 1/2 cup of plain greek style yogurt. Another variation is to add a can of tuna to this and make a spicy tuna salad. Serve it over greens and everyone wins. Mix first five ingredients in a large mixing bowl. In a small mixing bowl, add the next four ingredients. 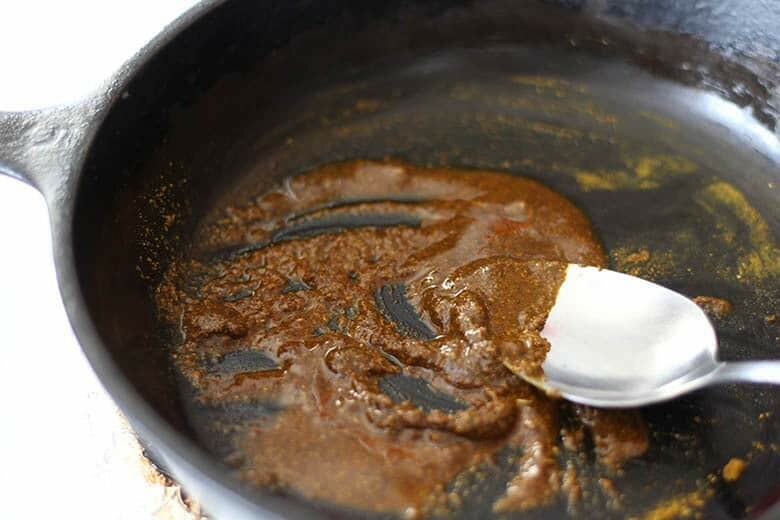 In a small pan, heat oil and curry powder over low-medium heat until the spices have warmed or ‘bloomed’ but do not cook long or it will burn. Scrape curry spice into the small mixing bowl and stir until curry powder has dissolved. 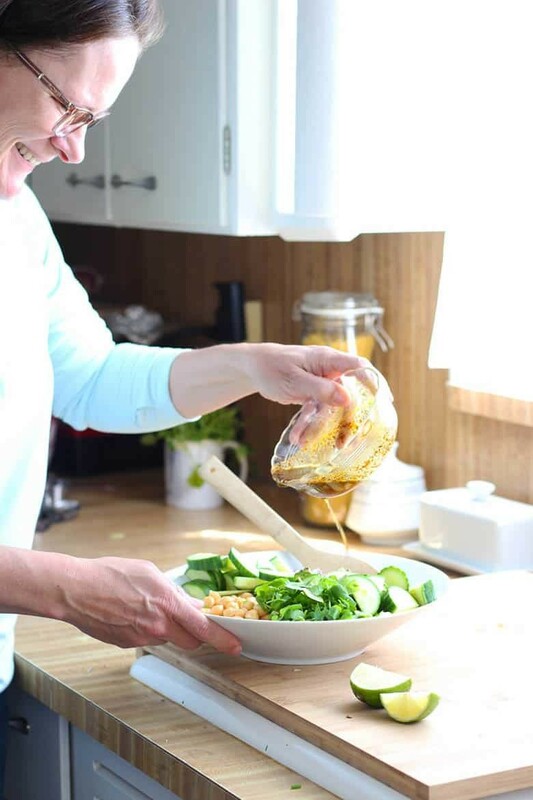 Pour over the salad in large mixing bowl and toss. Garnish if desired with crunchy toppings. For a creamy version, add 1/2 cup of yogurt. Add tuna for a tuna salad and serve over spinach or other greens. Serve with chutney and Naan. Well, I discovered after reading that many people reviewing have not actually tried this recipe. I made this today for a party this evening. It is delicious. I used Penzey’s Sweet Curry powder and added a little more lime juice. I bought eastern flat bread and can serve it as an appetizer or as a salad, I only used Cilantro. Very good recipe. What a colorful and healthy looking salad! 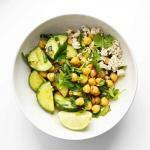 I love chick peas and they are a great source of protein when you want a meatless meal. Well done! I love this and I love your photos! 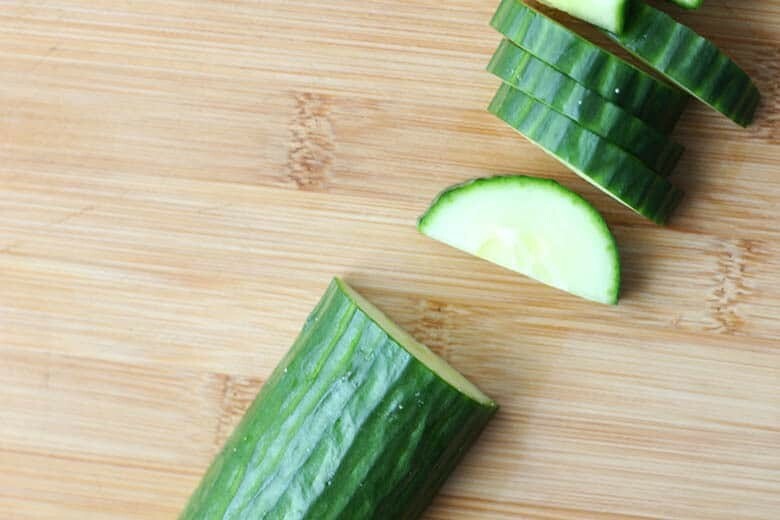 Cucumbers are something we can actually grow in the South so we have an abundance and we’re always looking for new recipes. 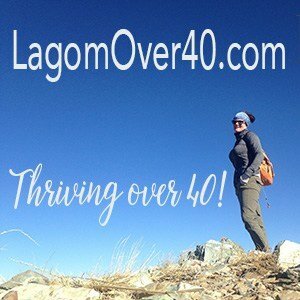 Definitely going to try this! 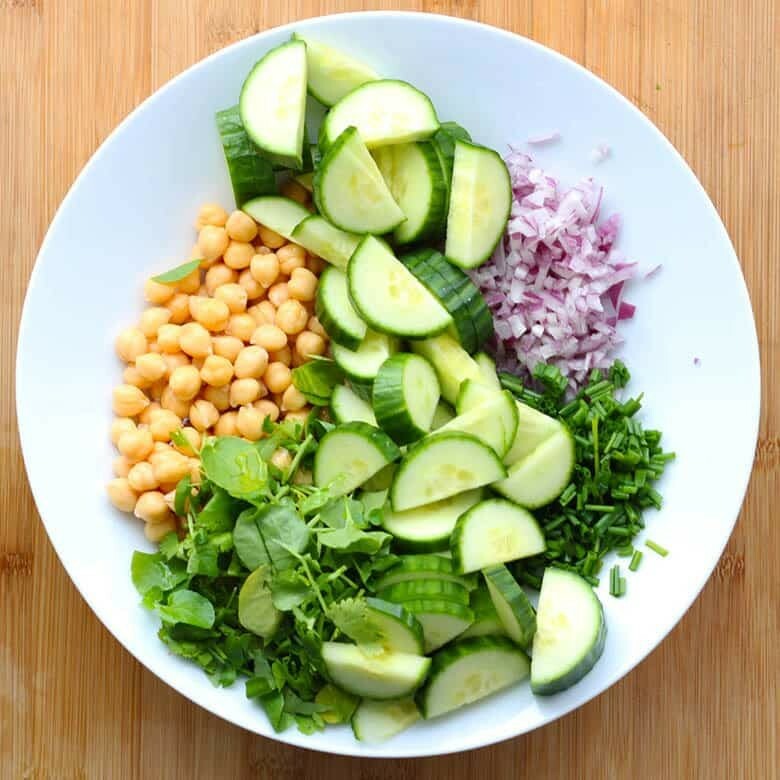 I just love chickpea salads with a bunch of fresh vegetables. Living in New Orleans, our garden is blooming right now. We’ll be adding this to our dinner menu this week! This looks so delicious! I’ve never made Chana Chaat before, but it looks amazing. Saving this for later! Ok, I’m seriously in love with ALL these ingredients! I’ve never heard of Chana Chaat but now I definately want to try it! 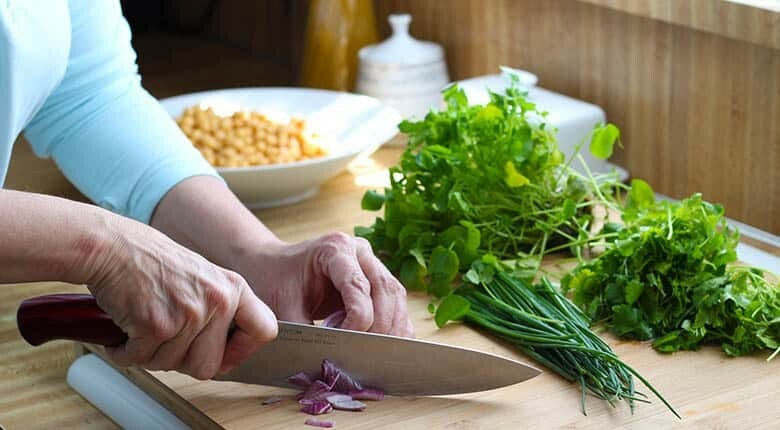 SO healthy – GREAT recipe! 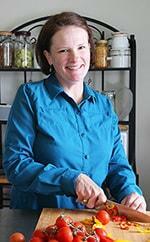 Enjoy amanda, I’m always game for any chickpea recipe!